Submitted 1 week 3 days ago by feeds_user. SIZE: 40L Capacity, large backpack at 20"H x 12"W x 8”D and extendable to 20"H x 12"W x 10”D. DURABLE: Made of high-density 600D polyester fabric with double-stitching, heavy duty zippers, and utility-style cord pulls. EQUIPPED: Side and front load compression systems, water-resistant with built-in rain cover, compatible with most water hydration bladders. MOLLE style webbing system for attaching pouches or other gear. COMFORTABLE: Padded back area and shoulder straps, breathable ventilated mesh fabric, sternum strap, and removable waist strap (fits up to 46” waist). 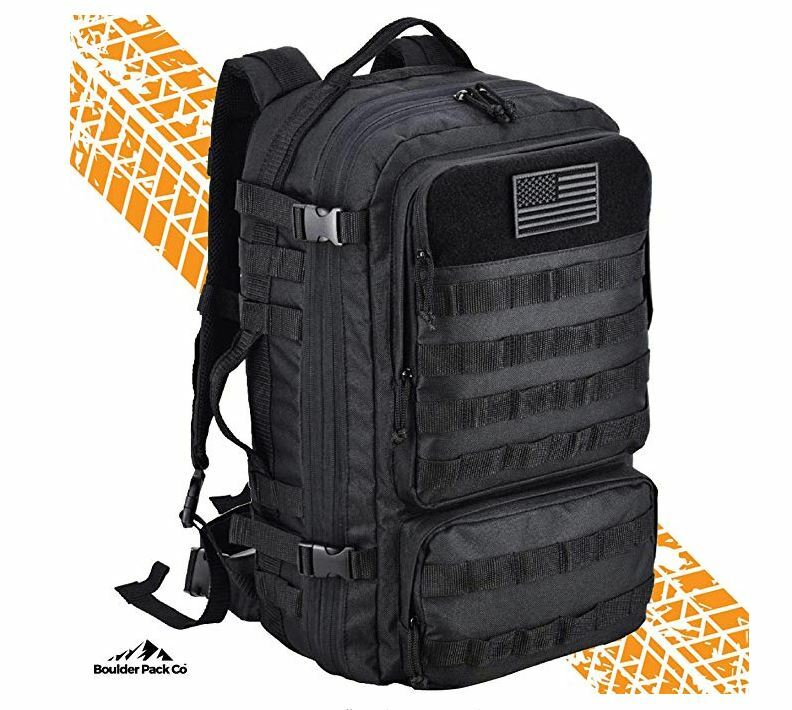 GUARANTEED: Try Boulder Pack Company’s Tactical Backpack with NO risk and 100% money-back guarantee – NO questions asked!